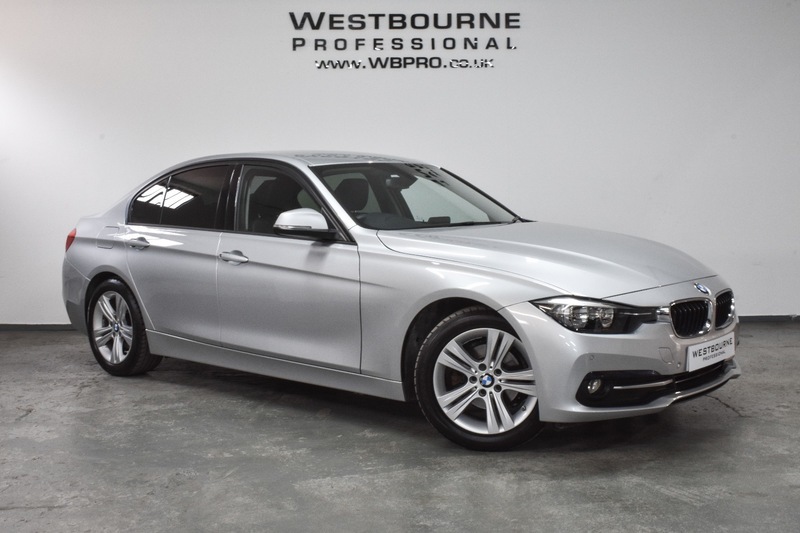 Beautiful Glacier Silver BMW 320d Efficient Dynamics Sport with superb specification. Supplied with Black Dakota Leather Seats, Heated Seats, Business Media with Sat Nav, Bluetooth, DAB and Connected Drive. 17" Wheels, Privacy Glass, Park Distance Control with Visual Display. Supplied with the original manuals and 2 keys. Ready to drive away, ask about our finance and delivery options.